Now in its seventh year, the Qantm Create Design Awards celebrates the best in Australian design over varying design categories. We are very pleased to present the winners, who were recognised for their achievements at the Awards ceremony held at the Forum Theatre in Melbourne on 22 September. Thanks to all of the guests who attended the event – it was a great celebration of the Australian design industry. Project of the Year, sponsored by Qantm, is judged from the winners of each project based category, and is awarded to the project that the judges consider to be most powerful and creative visual language used to communicate an idea, brief, or concept. 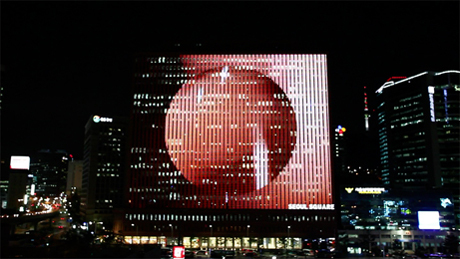 This project was commissioned and created as a LED projection for Seoul Square – the world’s biggest LED media wall. New Moon is the film to celebrate ‘Chuseok’, the biggest harvest festival in Korea. The full moon is a very significant symbol for this festive season as it represents the new start and the celebration of the good harvest. The film starts slowly but intensity builds. It’s dynamic and energetic. The excitement builds and we see an explosion of celebration: the spirit of the ‘Chuseok’ festival. The Emerging Talent award is bestowed upon an industry-relevant student (currently studying) or a creative professional that has been in the workforce for under a year. 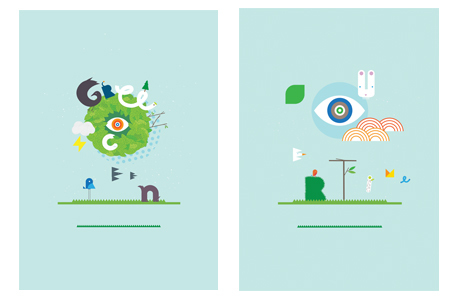 Surya’s folio portrays the strengths and areas of design that he enjoys: publication, print and typography. The overall feel of his folio is simplicity – crafting well finished design without the use of over elaborated elements. The Identity/Branding award is proudly sponsored by Become and recognises ingenious creation and/or use of brand identity across multiple mediums, adhering to a brief. Commercial Arts Training College was founded in 1983 and has four campuses nationwide. More than just a new logo, Mentally Friendly’s job was to contemporise the college, building a brand for the future by highlighting its history. Since the launch, Mentally Friendly has designed ongoing advertising and marketing collateral, course documents and prospectuses and websites. Now, a year after the relaunch, the school has seen by far the greatest number of enrollments, and is now being forced to turn away applicants. The Illustration award recognises excellence in traditional or digital illustration. Although not essential, this illustration may have been incorporated (partly or wholly) into advertising, point-of-sale display, editorial, corporate design and other projects. Both commercial and self-commissioned projects are permitted. Moonlight is Australia’s largest outdoor cinema chain and runs in national parks around the country during the summer months. Over the last three years, Naughtyfish has explored a whimsical world of nature and entertainment through the identity. 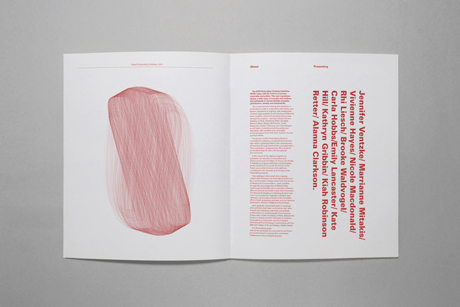 This year, the studio created interaction with the Moonlight audience; the 2010/11 season identity featured a series of typographic illustrations which spelled out messages for the audience. The Interactive and Digital award is proudly sponsored by Impact Digital and recognises outstanding communication through online ads, augmented reality, phone applications, digital games and other forms of interactive design. The brief was to help Perth inhabitants feel ‘involved’ in the Perth Festival, and to drive ticket sales to their online store. 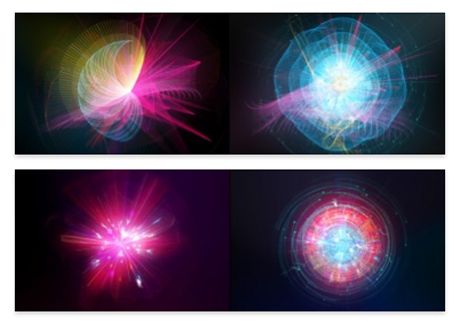 To reward online bookings with a perfectly unique piece of art, 303 Group commissioned ‘Future Deluxe’ to design 11 generative artworks that reflected each festival genre. As a user books an event, that genre artwork is progressively added to their overall artwork. The user can share this artwork on or offline. The Festival sold out, and online sales were up 35% on the previous year. The Motion Design award is proudly sponsored by Wacom and recognises excellence in the use of traditional and/or digital motion design including animation, stop motion, post-production, VFX (visual effects) and CGI. Entries may be used for any purpose (commercial or creative). The Packaging award is proudly sponsored by BJ Ball and recognises aesthetically and functionally outstanding packaging design. Entries in this category must be actual packaging products that have been produced (concepts and mock-ups will be disqualified). The brief was to create a truly unique self-promotion piece that embodied Leo Burnett in order to introduce themselves to the CEO’s of brands that the agency would love to work with. 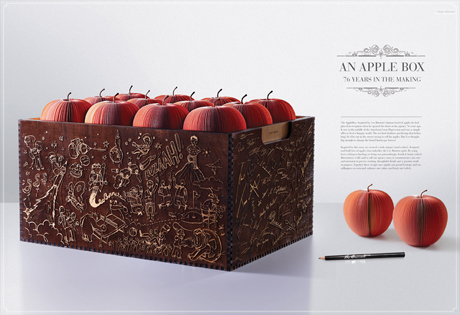 Leo Burnett received overwhelmingly positive feedback from each CEO who received the Apple Box with personal calls made to its head of new business inquiring about opening up an ongoing dialogue with the agency. 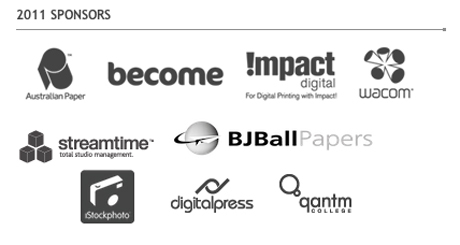 The Print: Commercial award is proudly sponsored by Digitalpress and recognises outstanding design for a printed project that adheres to a commercial brief, and may include posters, stationery, publications, advertising material and other print work. Birds Australia is a large non-profit organisation that supports the conservation and welfare of birds across Australia. Principle Design developed an elegant folding system of differing page sizes, resulting in surprising and engaging reveals. By physically separating financial data, Principle extended the publication’s utility, enabling it also to be used for new member solicitation. In another initiative to eliminate paper wastage, the unutilised areas of the printed sheets were turned into a series of double-sided bookmarks. The Print Creative award recognises outstanding design for a printed project that is not limited by a commercial brief of any sort. Entries may include self promotion, posters, stationery, publications, advertising material and other print work. This collaborative project is a platform for Melbourne’s chefs, artists and writers to personally and creatively interpret their city. 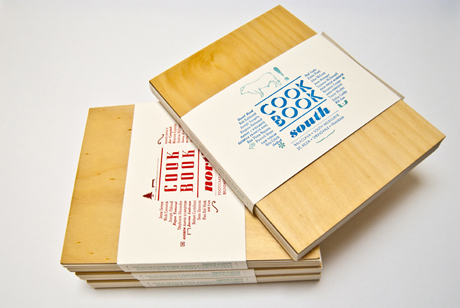 Each of COOKBOOK north/south’s ten suburb-inspired chapters feature a lino-cut artwork, short story and three recipes. A unique collection of letterpress forms, typography and colour create the visual identity for each suburb chapter. 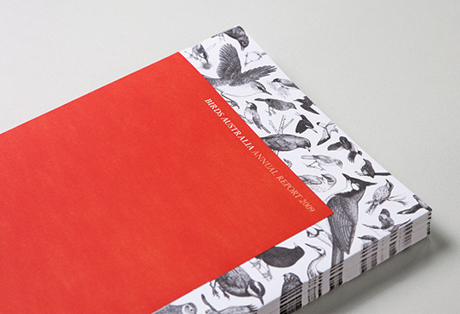 The result is an unbound limited edition (500) publication which comprises of hand printed individual cards, offset and letterpress printed at the Melbourne Museum of Printing. The Sustainability award is proudly sponsored by Australian Paper and is bestowed upon the studio, agency of individual deemed by the judges to be the most sustainable. This category will be judged on how the entrant is improving their “Triple Bottom Line” – social, economic and environmental footprint. 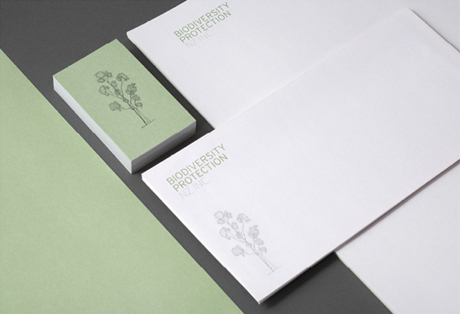 Principle Design consider the environmental impacts of graphic design products (i.e. packaging, printed materials, etc) throughout their lifecycle. This includes the selection of raw materials and their transformation; manufacture; transportation; use; and disposal publications. The studio is passionate about design, innovation and communication with a focus on Green Design. Principles and ethics within design is a core element of its business structure and process. Principle’s mission is to work with organisations that have an environmental agenda within their business structure and assist them in achieving a sustainable outcome; as a means to educate society. The Photography award is proudly sponsored by iStockphoto recognises exceptional photography. Entries may be self-commissioned, commercial or creative. Digital image enhancement is permitted provided the content of the original image is not altered more than 25 percent. 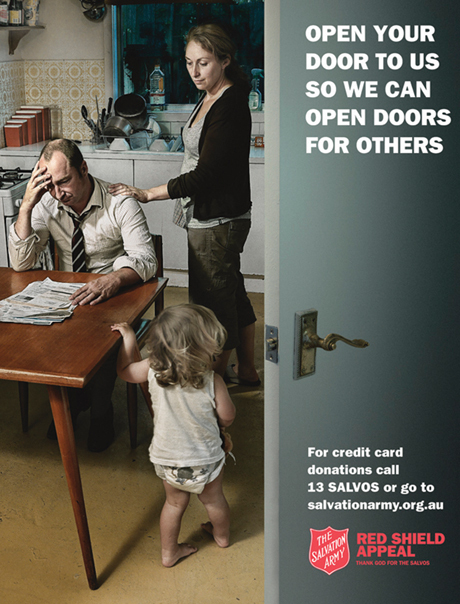 The photography for this Salvation Army campaign drew on the visual language of painting, and in many ways harks back to the work of Jean-François Millet (for inspiration) but recontextualised in an urban inner-city environment. The success of this image comes from a shared understanding of the genre and the gravity of the situation that this family finds themselves in. Through the styling and treatment, this is not a factual documentary image, instead an illustration of a situation. 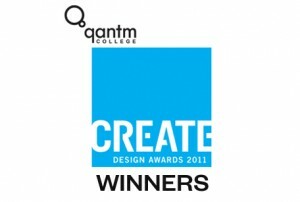 The Typography award is proudly sponsored by Streamtime and recognises excellence in either display or text typography. This typographic illustration was created for the 6th installment of the GO FONT UR SELF* typographic design exhibition series. 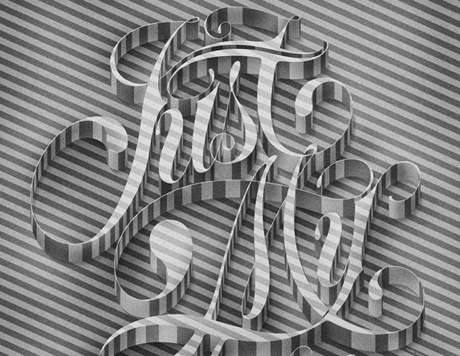 The words ‘Just My Type’ have been arranged with lettering based on a custom Spencerian style script arrangement, exploring the definition of the letterforms through the displacement of a monochromatic striped pattern. The Website award recognises outstanding web design, inviting entries from designers who have delivered a fully functional web project for any purpose. 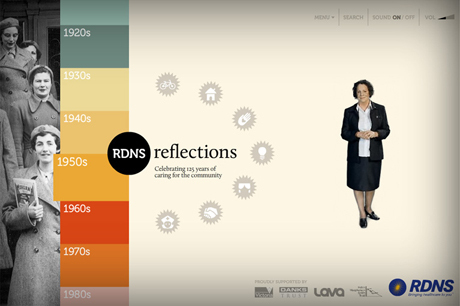 Lava developed a virtual museum called Reflections, a museum showcasing an extensive archive of nurses’ stories, video interviews, photos and artefacts spanning 125 years. Reflections is designed as a modern museum. The visual style and animations give the impression of sifting through an old history book, where users can navigate by either Decade or Theme, then move through the associated content via a beautiful, fluid left to right scrolling mechanism. Lava composed a custom soundtrack, with remixes for each decade and theme. A blue-screen video shoot was handled by Studio Ish, then integrated into the site. Well done everyone. Great work!